Guest blog post by Maine Camp Experience Member Camp Alumnus, Sara Sherr. Statistics regarding children and technology are jarring. I could bombard you with facts and figures – but chew on this to start: according to theguardian.com, only 51% of children are achieving the recommended hour of physical activity each day. Breaking this statistic along gender lines only harshens it – barely 38% of girls are achieving the recommended hour of exercise each day, compared to 63% of boys. The good news is that at summer camp, children (both boys and girls) will spend 5-7 hours each day actively playing. 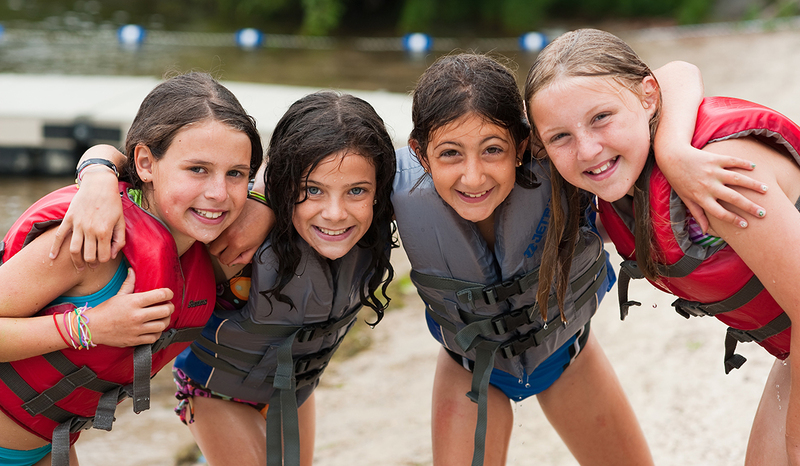 In any given day, a camper might play soccer, swim in the lake, canoe, rock climb, do arts and crafts, and even try their hand at acting or improv. They’ll then sprint from lineup to the dining hall for dinner, just to be sure they got that last bit of exercise in. This is certainly an improvement from a statistic that some children are spending 5-7 hours staring at screens a day. At summer camp, there’s hardly a screen in sight, barring that rare rainy day when campers might get to watch a movie – but this is still a community activity. It’s not one kid by themselves playing Angry Birds on an iPad. Instead, it could be thirty kids lined up under blankets together, laughing in unison. I guarantee they’ll incorporate inside jokes about the movie into their repertoire – and bring it up for weeks. I’ve seen it many times. I could make any of my campers from 2011 dissolve into hysterics by quoting from the movie “Soul Surfer” or “Ferris Bueller’s Day Off,” believe me. As a camper, I stared at the beauty of a sparkling Maine lake as the sun set behind lineup – not at the screen of a computer. While at summer camp, middle school-aged kids spend their Friday nights joining in campfire songs or skits instead of panicking on Facebook that they weren’t invited to the hangout everyone is posting about. They’ll also eat s’mores, laugh, walk arm-in-arm back to their bunks with their best camp friends – instead of scrolling through Instagram to find out how much fun everyone else is having. The truth is this, children today are born into a technological landscape that gives them neither the time nor space to be truly alone – or together. It doesn’t give adults that space, either, but at least we remember the world without this pressure. Children of this camp generation were born into a twitchy culture in which we feel the constant need to update people about what we’re doing, and how much fun we’re having; instead of living in the actual moment. That’s why cell phones exist, right? It’s why Facebook exists, it’s why Twitter, Tumblr, and Instagram all exist – they manifest themselves from a cultural anxiety about being alone. With cell phones and iPads and social media – we have every person we could possibly want at our fingertips. But what’s lost in translation? Why are we so scared to be together in person? In my opinion, technological communication lacks an elemental aspect of human intimacy. With cell phones making it so easy to reach out and tap someone on the shoulder, why should we make any actual effort to see each other? To feel our emotions fully? To be truly there for someone, to hold him/her while she cries instead of sending an “are you okay?” text? When a child hits an ace in tennis and sprints over to high-five his/her tennis partner, the real-world delight of this trumps any Wii game by at least a million emotional octaves. And what is more gratifying than letter writing? Nothing; except letter receiving, maybe. I’ve written about this topic many times, but I’m so grateful that summer camp preserved this enduring time portal of communication. I’m twenty-two now and I still read the letters I wrote to my parents while I was at camp when I was fourteen. I’m instantly transported back to 2005. Nothing could let me feel more cared for than a chunky four-page letter written on legal paper from my dad, or a long and detailed two page printed email from my mom. I can’t wait to get back to camp this summer and put away my cell phone, so that I can play soccer, so that I can be free from worrying whether the recipient will accurately interpret my tone correctly, so that I can see the people around me. And I’m eternally grateful that I still have the opportunity to do so – especially in Maine.